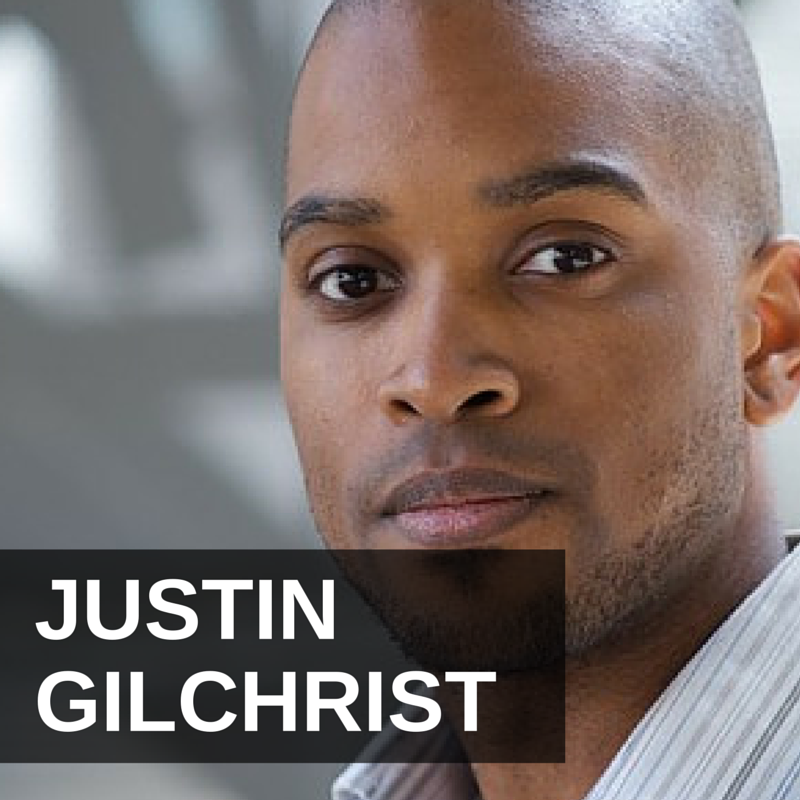 Jason gives a warm welcome to Justin Gilchrist, who is an author and an expert in buying online businesses. He and two others co-founded Centurica, which helps people with online business assessment and does the necessarily due diligence and verification to make sure an online company is worth purchasing. Today, Justin provides some great tips for anybody looking to purchase an online business. 6:00 – A good online business should be at least 3 years old before a customer should purchase it. 8:30 – Part of Centurica’s due diligence package is to verify how an online business receives their customers. 12:00 – Depending on your technical expertise, Justin would recommend different types of online businesses that would be a good fit for you. 15:40 – Far too often do businesses over report their revenue or doing crazy accounting schemes to make a business appear more valuable than it really is. 20:40 – It’s important to gather all the necessary information and make sure the website doesn’t look ‘too good to be true’. 22:00 – Justin gives out a very technical example as to why one of the seller’s websites didn’t meet requirements. 23:50 – Remember to always use leverage when buying a website. This can help decrease your costs and make it easier for you to pay off over time. “If you’re a new investor, I’d say e-commerce, lead generation, content , or affiliate sites tend to be your best options.” Tweet this! “Ask yourself, “Does this website make sense?” What are they doing to generate a profit? Does it seem logical?” Tweet this! “This industry works so much better when you use and understand leverage.” Tweet this! Hey, welcome to the Young Wealth show. This is Jason Hartman. This show is produced by the Jason Hartman Foundation, where we talk about business and investing and how you can create a great future for yourself and start out on the right path. We’ll be back with a great guest here in just a moment on the Young Wealth show. Be sure to visit our website at Youngwealth.com where we’ve got a fantastic blog, lots of free resources, take advantage of that, and further your financial education. It’s my pleasure to welcome Justin Gilchrist to the show. He is the author a new book entitled Digitally Wed. He is an expert in buying internet-based businesses. Justin, welcome, how are you? I’m really good thank you. Jason. Thank you for having me. It’s good to have you. Give our listeners a sense of geography. Tell us where you’re located? I’m currently located in very sunny, I’m being sarcastic, sunny Cheshire, which is a few minutes outside Manchester, north-west England. *Laughter*. Tell us about your background and how you came to write the book? Sure, for the last 8 or 9 years, I’ve always been into online business and when I say into, I mean, starting online businesses, building online businesses, web apps; and prior to that, I had agency where we did graphic offline design and also online design for clients. So, we kind of got into a parson with 1-2 clients of developing sites for them. They would take it half way there and, at the time, when they wanted out, we would buy that site back and operate that site for awhile before maybe selling it on or doing something completely different with it, building on top of what was already there. So that sort of formed the foundation to my person acquisition, which I’ve built up over the last few years. Then, around 18 months ago, I co-founded Centurica. This is an agency helps acquire web-based businesses. In terms of the the business listing and so forth on the Centurica site, tell us a little bit about the founding of that? Did you just create it with scratch from 1 or 2 partners? Yeah, so Centurica, the idea behind Centurica is I met with a gentlemen called Caspers, who is currently based in Riga, Latvia. He is an online businesses nerd. I mean, I obsess over this, but he also obsesses over it to the nth degree. He knows things that people just never understand in a million years, but he is very good with analyzing and assessing the opportunity, but also the risks in an online business. My other business partner is a gentlemen called Brian. He was previously a broker and he sort of worked on the sell side, working for sellers for a while before deciding he needed a change of direction. He knows the industry very well for that points of view, so it was almost a perfect partnership. We came together 18 months ago now with the intention of looking at a way where we could help buyers assess the risks behind what they’re about to buy, but also make it cost-effective as well. When someone’s looking to buy an online business. Take us through that processes of how they would evaluate that business, how they would do due diligence, just what can our listeners can learn as to how to go through that process? Sure, so the first thing I like to do is make the distinction between an online business and the website perfectly clear, because you can buy a website and you can buy an online business that happens to have a website, but it’s still a business. So, when I talk about an online business, I mean something that’s up and running, it’s established, it’s profitable, and it’s a sustainable income for the person who wants to buy that versus a website, which is typically something that may or not be making profit, but there’s a lot more risk because a lot of the sustainability, a lot of the systems, a lot of the convention that you’d expect with a businesses is probably isn’t there. So, when I say an online business. I generally mean something that operates primarily through a website, but it isn’t just a website, but it’s sort of the business and the systems and the operations around it. That’s a good point, because every business now-a-days should at least be partially an internet business, even a local coffee show I would say. How do you distinguish that? You say systems. Give us the distinction there of what really makes it an online business, if you will. It’s a difficult one. I suppose there’s real no clear distinction line between the two. I would say that, an online business, I wouldn’t call it a business if it’s not been established a year, personally. I wouldn’t call it a business if it’s been established less than three years, but there are exceptions to that. Again, that’s not a hard or fast rule or a definition, but I guess that it’s definitely got the history. You need the history, in some ways, reassure yourself that this site isn’t going to be wiped off the face of Google or where ever in the next sort of year or two after you own it. So, you’re looking for scalability and redundancy as well. You want to know that this website or this business doesn’t depend on Google for all of its traffic, for example. It doesn’t depend on Facebook for all of its customer’s acquisition. You’re looking for something that isn’t going to disappear. You’re looking for something where the amount of revenue or profit isn’t like going to take a massive plummet in the future. I think that kind of, it’s not a guarantee, but that lower risk is, for me, what will distinguish a website from an online business. When you say it’s not dependant for Google traffic, Facebook for customer’s acquisition, are you finding that a lot of online businesses are really built around that single strategy like that? So, these are the biggest misconceptions for people who first start buying. The first one is that people think content businesses, say like an AdSense site, is the most passive business they can buy and that’s definitely not true. The second one people think that a site which receives maybe 70% or 80% of traffic from Google search is a good thing, because they see it as free traffic, it converts really well, this is far better than the business that maybe pays for all of that same traffic, but that’s definitely not the case. To give you an example, we recently did due diligence on a site that had 85% of it’s traffic from Google search. Bare in mind, we started doing, I think this is probably back in September, by October, that traffic had nearly halved. So you can imagine if the person actually gone ahead and bought that business, they would have been stuck with something that’s generating probably half as much revenue, because the revenue was directly tied to the amount of new visits that it was getting. It was advertising based. There’s a huge risk with organic traffic that anything can change and we all know, Google will change it’s algorithms every 3-4 months, throw a new animal into the mix for sometimes quite random reasons. You just don’t have the dependability that you do when you pay for that traffic from Google in terms of AdWords or any type of pay-per-click program. Well, wait, so that’s interesting what you said. I want to make sure we got that distinction correctly. You say, there’s a big risk with organic traffic, because Google can change the algorithm, but it’s better to have it based off the paid traffic? Or did you mean that the opposite way? No, that’s sort of what I meant. Your ideal situation is you have a diverse mix of traffic sources. So, for me, the ideal site would have maybe 20% paid traffic, 30% organic, 20% social, and then maybe another 20% from referrals. I’ve probably gone over a 100%, but you get the idea. *Laughter*. So, the thing with paid traffic is it’s a paid relationship. You know that Google will never kick you out of bed as long as you keep paying Google money. That’s why I like paid traffic, but you also got some other advantages. For one, it’s scalable. If you want to double the amount of traffic you’re getting from organic search, you’re going to have a very, very, job doing that. You’re going to have to do a lot of link building, probably a lot of content creation and then it’s more of an art than a science. No body can predict the benefit from SEO, but with a paid campaign, you know if you have a Facebook campaign, for example, and that campaign is delivering a 1,000 visitors, it’s a far more predictable process to scale that to deliver 2,000 visitors. You just look for the same demographic, but in different places or if you’re doing this on Google’s AdWords network, you’re looking for more keywords to deliver more traffic, but it’s a more scalable and predictable process. That’s a good ratio to have. Alright, continuing with due diligence, other thoughts? Sure, so again, one of the biggest misconceptions that people have is buying an AdSense site is the best way to earn a passive income on the side. We typically see this with people who have an online or offline business that they’re currently, you know, full-time or full-time-ish involved in, but they realize that they need to diversity their income and they see buying a website or an online business is a really good opportunity to do this. What you find once you own that, you constantly need to create content or do some form of marketing or link building in order to maintain the organic traffic that site receives. I can guarantee you that because of the amount you earn per click with an AdSense site, an organic and social traffic are usually only two options that you have. You can’t scale those through paid traffic otherwise you just lose that. It’s an obtuse game and it’s working the wrong way. So, I think a lot of people can end up paying for sites that they think are really low maintenance, especially affiliate sites, when in reality they’re actually buying themselves a really low paid job. Yeah, right. So, that’s not what business owners want. They don’t want to buy themselves a low paid job by any means. Continuing on the due diligence, I don’t know, maybe, I don’t want to divert the conversation too much, but since you mentioned all of that, talk about types of businesses, because I think it does tie into with just what you just said. Let’s just finish out the due diligence, I know you offer a 3-part package and so forth and I want to make sure we touch on all those areas and what people can do. You know, if they’re doing it themselves they can use you as well. But, are there certain types of businesses that are better than others? It’s a bit of a suggestive question. Yes and no. There are certain types of businesses that are better for you as an individual and I have a chapter, which people can download for free from ExitPlan called Due Diligence and the whole idea of that chapter is showing you how to do due diligence for yourself, but it also talks about how to assess a business personally for you. So, before due diligence, you gotta ask yourself the question. “What am I looking for?”, “What are my objectives with this purchase?” and, “Is this purchase right for me?” So, this is really kind of personal to that investor and there’s no right or wrong business. To give you an example, if you are someone who has ran an offline business your whole life, you’re not really too technical and you’re not too up with online business, I personally would think an e-commerce store would be the best kind of acquisition for you, because e-commerce tends to be the easiest thing to relate to how offline businesses work. You buy a product, you sell a product, and there’s sort of very little between. I think, what you would buy would entirely depend on who you are as an investor and the experience that you’ve had so far. There’s no real right or wrong business. There’s definitely a lot of businesses that nobody should buy. *Laughter*. The kind of businesses that fail our due diligence checks, but in terms of models, it’s hard to say there’s a certain type of model that you should or shouldn’t go for. I can give you a real quick rule of thumb. If you’re a brand new investor, I’d say e-commerce, lead generation, content sites to certain extent, and affiliate sites as well tend to be your best options. The only thing with e-commerce is I’d strongly advise people to always stay away from drop-ship e-commerce. It’s possibly one of the worst purchases you can make, because the business model just doesn’t stack up anymore. So, why does drop-ship not work? Well, I absolutely hate drop-ship. So for one, you’re earning the lowest amount in that whole chain. You are probably going to earn less than UPS do. So, you know, you’ve got incredibility low margins, which means the benefit of e-commerce and one of the main sort of redeeming features about e-commerce that makes it relatively low maintenance if it’s setup well is one, it can be systematized and two, you can use paid traffic to grow it. You don’t need to spend too much time working on new content if you don’t want to. The problem is drop-ship e-commerce is the margins aren’t there to sustain paid traffic. So, the amount that you’d have to pay in order to get one customer, you’ll lose out versus the amount you’ll earn from that one customer when they do order. Just to make things worse, you’re competing with the likes of the sellers on Amazon, you’re often competing with your own supplier who will sell direct and always a better price than you. You’re competing against people with far more budget in most scenarios, especially if they’re the people who are selling the products as oppose to drop-shipping products. You’re always fighting a bit of a losing battle where you just have very little control in the supply chain. Good points. Any other examples of businesses where they..I want to hear some of the examples of businesses where they don’t pass your due diligence and why they didn’t pass. So, continue with the due diligence process if you will. So, we kind of, we make the mistake of bundling assessment with due diligence and this is something that we’ve address. By the time people are listening to this they’ll probably seeing the new site, but we’ve made more of a clearer distinction between due diligence and assessment. So what we do now, we offer an assessment, which is kind of everything before the fact. Everything before you made that decision to go ahead and commit and then separate to that, we do due diligence and live verification, which is literally just going over the information that the seller has told you is true and verifying that it is actually true before you go ahead and hand over your money. So, when we kind of look at a business, I say the most common fails due diligence wise are on the revenue side. It’s usually the seller misrepresenting the amount of revenue that they’re earning. You usually have sellers who will either use some crazy accounting system that nobody agrees with. They maybe have billings that have come in few the next 12 months and they’ll lump it into a certain month, so it makes it into that trailing 12 months or sometimes you have sellers that just plain make things up and that’s part of our job in making sure that the information that the seller has put across is correct and accurate. Outside of that, I’d say the majority of other flaws are with operations and maintenance, where someone tells you it takes 5 hours a week to run that particular business and in reality, it takes 30-40 hours, so like I said earlier, you’re ultimately buying yourself a minimum wage job. Or maybe with traffic, so the seller is possibility paying for traffic and not disclosing the amount they’ve paid, but you’re looking at that thinking, “Hey, this is doing really well. It’s getting a lot of traffic from different places and that traffic is converting.” Not realizing that it’s actually a grand a week bill that the seller is currently fitting just not telling you in order to make the business look far better. Yeah, maybe they’re paying that bill from their personal account and not the business account, right? Exactly. One thing we try and get across to people is, there is no, as good as we, there is no situation where we can find 100% of every possible combination of things that could go wrong, but we can find the 99.9% just by following the good systems that we have by being extra due diligence. So, someone who is paying for traffic from their own pocket, for example, there’s also going to be a trail in that. Traffic has to come in from somewhere. Okay, good. Do you get down to the point of calling customers and asking them? That would be intensive due diligence. *Laughter*. It is. We strangely debated that in the new sort of due diligence and live verification package. Part of that was due to be, we’re going to do sort of spot checks on customer transactions where we actually call the customer, but it’s a check that we unfortunately can’t do, because it’s hard differentiate between a customer just not picking up the phone and, you know, the only kind of positive result would be if we called the customer and they said, “No, I haven’t bought anything from this site.” But, the reality is I think if someone called me up and said, “Hey, you bought something from a website about a year ago. I’m not that website, but I just wanted to know the details of that transaction.” I’d probably think it’s a scam and I’d hang up. I don’t think our success rate in speaking to customers would be quite high with that and it just wouldn’t be a very consistent check to make on the long term basis. Sure, going down the theme of due diligence the one thing I always advise people to do is just get all the information together before they speak to us, before they do anything, they need to be confident in that site themselves. One of the best checks, “Does it make sense?” Is what this site is doing on a day-to-day basis in order to generate a revenue, a profit, does it seem logical? Because, there’s not a single site that we’ve seen that generates a substantial amount of profit and, over the long term, that doesn’t do it using what really is a conventional method. They sell adverting, they sell a product, or they sell subscription something. So, if you’ve come across something and it seems too good to be true, because they’re using some brand new marvelous method that you don’t quite understand, then it probably is too good to be true and there’s something obvious you’re missing there. The best sites do the most simple things over and over, but they just do them really well. Good.. Give us an example of the simple things. Simple things are paid traffic, which I absolutely love. Some sites work social really well, so they just create content on a regular basis. You know, it’s the things that we all know that we should do. So, when you setup a blog, you know that the more you blog, the more impressions you’re going to get, the more chances you have generate leads or to sell your product or to get sign ups to your mailing list. We rarely do it as often we know we should. *Laughter*. The simple things are just doing things like that, whether it’s creating content on a regular basis and making sure that content is good. It’s making sure when that content is created, it’s well shared. It’s shared across different social networks and you create a little bit of buzz and excitement around it. For a web app, it’s just making sure that when your new users come on-board, you have a good on-boarding process. You speak to those users, you ask them if there’s anything you can help with and you do everything you can to make sure you’re getting retention out of them as possible. So, I think the basics, there’s absolutely nothing new, but it’s just the stuff we know we should do, but it’s just doing it on a consistent basis and making sure that the site you’re acquiring, making sure the owner has done that, and you can continue to do that once you take over. Just continuing down this due diligence process, because this is just so educational for listeners. A few more minutes on this if you would, because maybe you can talk about some things that people try and hide from you that you found that would have been a costly mistake had the buyer purchased that business, they would just have overpaid for something that was just a lemon, right? Absolutely. I can’t go into specifics, but I can tell you sort of general. One, which is from today strange enough, about four or five hours before this call, something we were looking at the moment. I’m trying think if there’s anything that could personally, no, it’ll be fine. About 4 hours before this call, we looked at a business that’s a web app and relies on 1-2 sites that pulls in data. It has an API connection to these sites. What buyer or the potential buyer didn’t realize is that one of these API’s is due to be discontinued. So that would have rendered half the users or half the people that use that application, would have rendered that account inactive for the information that they had signed up for. So, that’s quite a technical sort of issue and it’s something that would be difficult to spot unless you knew exactly what you’re looking for. The whole business was on the verge of changing. It was. It was and it’s a difficult thing, because part of good due diligence is literally following that system and having to check absolutely everything. We have our internal system. We know exactly what we need to check in order to look for those kind of potential areas or those kind of potential issues, but the other part of it is just having the experience to know when something isn’t quite right. You can follow a check blindly, but you probably wouldn’t find maybe 30% or 40% of things that we find, because a lot of the things we just find down to experience. I know from building web apps where a lot of the points of failures are. I can look at the numbers in terms of support costs or user acquisition numbers and I can see when something, although it might be growing in profit at the moment, is due to hit a hard patch and plateau or maybe even decline. What else do you want people to know? It could be on due diligence or it could be on anything in general? I think one of the most important things to realize is that this industry works so much better when you use and understand leverage. So, the main kinds of, sort of, leverage you would use when you’re buying a site is either sell a financing a hold back or an earn-ounce. What surprises me about how few people actually know that’s an option. So for example, if you’re buying a site for $100k, instead of just paying the $100k upfront, it’s typical that you offer, it may not be typical, but it’s not abnormal to offer $50k upfront and then finance the other 100k over a year or 2 years, for example. The beauty of that is if the site’s being sold at a fair enough price, you can usually pay for that reminder directly out of profit and still have a little bit left afterwards. I think this getting idea of leverage, whether that leverage be a soft-loan from the bank or seller finance or if you’re feeling pretty risk adverse, you might put it on an over-draft for example, but just using different forms of finance to buy into that company, because ultimately the return you get back is highly likely to be far more than what you spent on that fiance in the first place. Yeah, no question about that. Leverage is a very, very powerful tool. Some people occasionally get into trouble with it, but mostly it’s a great tool. That’s what I love real estate investing, but you can certianly do it with businesses too. Look at the big trend, was so super popular raising in the 80’s, was the LBO (Leverage Buy Out) type of system. Good, leverage is a powerful tool .Back to Archimedes, right? Well, i also advise people, I have to sort of think twice before I say that because I don’t want people to kind of go out and bet the entire farm. *Laughter*. I’m trying to think of a responsible way to put the message across. What I’m saying is, if you’re going to use leverage to buy anything, then this is not a guaranteed bet, it’s a business at the end of the day, so you could lose money just as much as you put money in, but what I’m saying is there are smarter ways then just putting all the caps you have into the company. So, if you have a $100k, personally, rather than buy a $100k business, I’d rather buy a $200k business, because I know every hour that I put into that business is likely to deliver far better returns than every hour I put into a $100k business. I would use leverage to do that. Leverage doesn’t have to be finance. Leverage could be a hold back. So, for example, if you have a site where, what’s typical, you get an e-commerce store and you know it’s at the last 3-4 months of being down or down would trend and a seller would always try and convince you it’s just seasonal or it’s because they haven’t listed a newer entry recently, don’t be afraid to ask for a hold back. You tell them you maybe want to hold back maybe 25% of the deal for 12 months or for 6 months contingent on the sales, you know, reaching an average level whatever they’re claiming the average should be is. The beautify of that, as well as giving you some kind of protection against a potential downward trend, you’re also getting that money pretty much interest free. Excellent, excellent point. Justin, give out your website and tell people where they can buy the book. Excellent. Justin Gilchrist, thank you so much for joining us today. Thank you for having me, Jason.